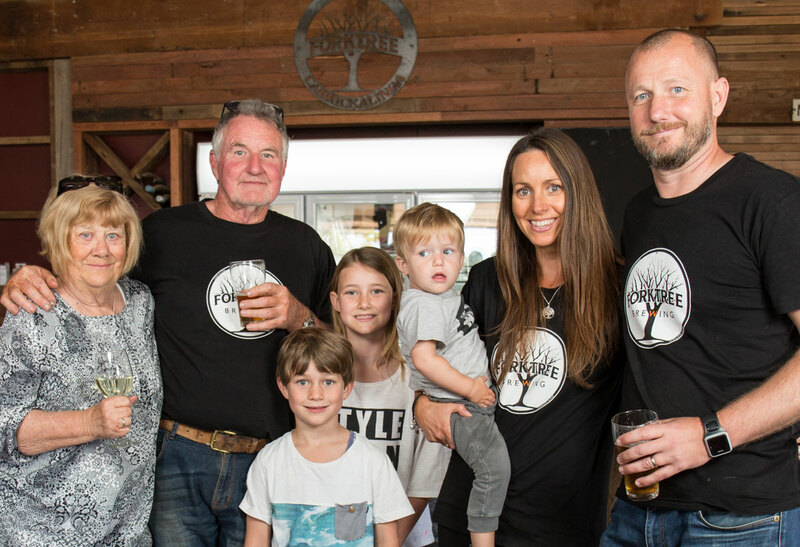 As InDaily’s Forager reported in July, brewer Ben Hatcher launched his Forktree Brewing label early last year and decided that the old shed on his parents’ property at Carrickalinga would be an ideal spot for a craft brewhouse. It’s been a family labour of love over recent months to make over the building, including giving it a new galvanised-steel roof and walls, adding a timber deck and large windows, cleaning and relaying the old floorboards, and giving the interior a smart fitout which still retains the character of the original shearing shed. Hatcher was on tenterhooks last week waiting for the final liquor licence approval which would allow him to open on the weekend. Despite the late notice, he says they still had almost 400 people visit over Saturday and Sunday. “A lot of people who come down for holiday homes popped through and a lot of locals who have had an interest in it for it for a while turned up – it was a brilliant turnout. 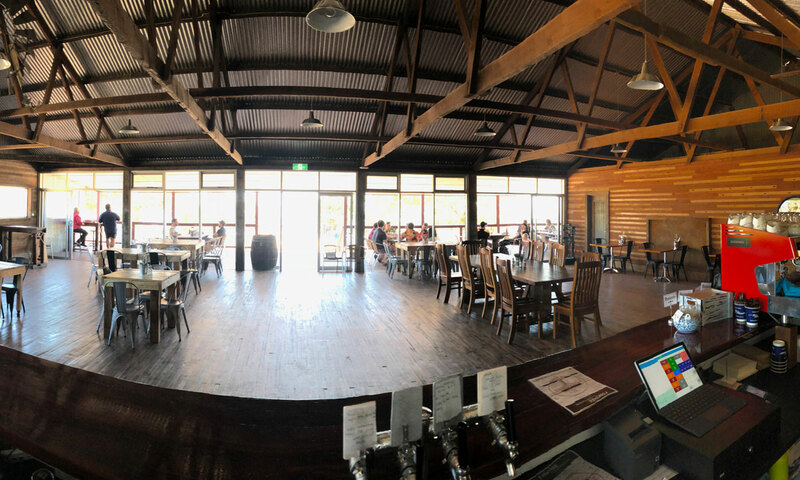 The Forktree Sunrise Ale (a pale ale) and Sunset Ale (red ale) are both on tap, as is Myponga brewery Smiling Samoyed’s Kolsch, with a Big Shed Brewing beer likely to be added down the track. The venue is also serving Lobo ciders and South Australian wines. Local chef Kenton Day is running the kitchen, serving a range of burgers that pay homage to the building’s original use. There’s The Rousabout (shearing shed general hand), for example, made with seasoned pulled lamb with sheep feta, minted yoghurt, sun-dried tomato, lettuce and red onion; The Squeezer (a wool presser), slow-cooked pork in Forktree’s Sunrise Ale and spices with fresh apple slaw and habanero mayo; and The Guesser (wool classer), a sweet potato and chickpea patty, tomato relish, caramelised onion, lettuce and vegan mayo. The menu also includes salads, fish and chips, platters (including a “shearer’s lunch” for two or four), sweets, kids’ meals, and a range of hot drinks and non-alcohol cold drinks. One of the advantages of the Forktree location – on a farm Hatcher’s parents, Mike and Sue, bought around 18 years ago – is that it offers views over the rolling Fleurieu countryside all the way to the ocean, with the new venue’s 4.25m-wide by 18m-long deck and large windows maximising the panorama. Hatcher says it was a relief to watch his vision come to fruition as visitors made the most of the space on opening weekend. “The feedback was really positive … it’s validation for all the work that’s gone into it. For now, Hatcher is still brewing his Forktree beers at the Smiling Samoyed brewery, but he hopes to start installing brewing facilities at the Carrickalinga brewhouse within the next 12 months. He also hopes to release a new Forktree beer – a session ale likely to be dubbed Sea Breeze Ale – by the end of this year. Forktree Brewing, at 935 Forktree Road, Carrickalinga, will be open on Fridays and Saturdays from 11am-9pm and on Sundays from 11am-5pm.